Real Madrid president, Florentino Perez has concluded plans to replace manager, Zinedine Zidane with Germany boss, Joachim Low. A source at Santiago Bernabeu told Spanish, Mundo Deportivo, that Low’s “methodology, personality and attitude” have convinced the Blancos chief, who is planning ahead of 2018-19 season. Real Madrid have had a disastrous 2017-2018 season. Massimiliano Allegri, Mauricio Pochettino, Maurizio Sarri and Jurgen Klopp are also on Perez’s Real Madrid head coach shortlist. The club’s captain, Sergio Ramos had earlier dismissed rumours of plans to sack Zidane, adding that the team is solidly behind the Frenchman. 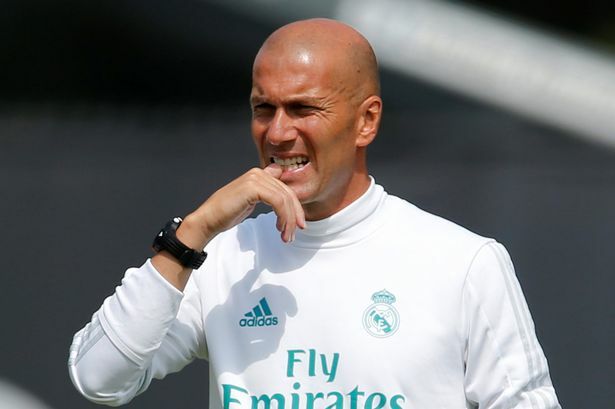 Reports emerged that Zidane would be shown the exit door if the club loses against Paris Saint Germain in the Champions League round-of-16 next month. The LiLiga champions have already crashed out of the Copa del Rey putting more pressure on the manager.